In conjunction with ONE PRAYER, a month-long multi-church campaign unifying many different, diverse churches nationwide, this compilation book, What is God Really Like? features reflections by seventeen passionate church leaders, including Andy Stanley, Francis Chan, Jentezen Franklin, Perry Noble, Steven Furtick, and others. 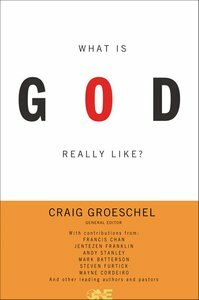 About "What is God Really Like?" Customer Reviews For "What is God Really Like?" I found this book really encouraging. It is a compilation of short chapters each written by a different gifted teacherpastor from USA. I loved how the teaching styles of the contributors is different and adds variety as they each discuss a different characteristic of God. The short length of the chapters make it an ideal book to read a chapter a day like a devotional.